Why is Whooping Cough Becoming More Common? 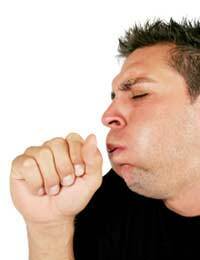 Home > Bacteria & the Lungs > Why is Whooping Cough Becoming More Common? Whooping cough is a childhood infection caused by a bacterium, Bordetella pertussis. This used to be a common feature of being a child 60 years ago, before an effective immunisation programme was rolled out all over the UK and in most parts of the developed world in the 1950s. Our grandparent’s generation all remember whooping cough – it was normal for eight in every ten children to have had about of whooping cough by the time they started school. The illness begins like a mild cold with a runny nose and fever but then the body becomes wracked with coughing fits, with attacks of severe coughing that last for up to 2 minutes. The child affected coughs and coughs repeatedly, forcing air out of the lungs until there is none left to breathe or cough out. This is very distressing and eventually the lungs respond by forcing an intake of breath. This passes through the throat and upper airways, which have become tight and constricted. The sudden intake of breath through a small space causes a loud whooping noise – the characteristic sound of the illness. These coughing fits are very harsh and children are usually sick at the end of each attack. In typical cases of whooping cough a child can have 15 bouts of coughing like this in a single day, and the cough can take weeks to disappear. It usually decreases in intensity but, in some parts of the world, whooping cough is called the ‘cough of a hundred days’, not without good reason. Do People Get Whooping Cough Now? The bacterium is still very common and developing countries often see large outbreaks, particularly if vaccination coverage is low. In the UK and other developed countries, the cases of whooping cough do rise in some years and this is due to two factors. The first is when whooping cough occurs in older adults – the immunity from either the infection or the vaccination can wear off after decades, and older people can become susceptible once more. The second factor is that the coverage of immunisation for whooping cough has not been consistent over the last 20 years because of scares over the triple MMR vaccine. This vaccine delivers protection against measles, mumps and rubella – and has nothing to do with whooping cough. The problem was that the tenuous link between the MMR vaccine and autism was widely publicised and this put many parents off getting their children immunised against any of the childhood infectious diseases. The link between MMR and autism was shown to be non-existent – very large studies were done that showed the vaccine was not responsible. Parents had made the link because the symptoms of autism usually start to appear about the age of 14-18 months – which is just after the MMR vaccination is given. This is carried out in small babies, with three doses given at 2 months, 3 months and 4 months. A pre-school booster vaccination is given between the ages of 3 and 5. That protects the children who are immunised and the more children who do get the vaccine, the less chance there is of anyone getting whooping cough. This is because of herd immunity – if most people are immune to an infection, it simply does not circulate in the population. If the rate of uptake of the whooping cough vaccine drops below a critical percentage over a number of years, this herd immunity is no longer achieved. If one case of whooping cough occurs, it spreads easily because the bacteria are carried in air droplets produced by the intense coughing, and a small outbreak can occur. Some people argue that immunisation is more dangerous than having the infection but whooping cough has some very serious complications. The most dangerous of these tends to happen in babies and small children – the bacterial infection and the coughing leads to pneumonia, which can be deadly. The severe coughing is distressing but also physically damaging and the child can rupture blood vessels in the nose and lungs. The coughing is so severe it can also produce hernias of the abdomen as the abdomen wall ruptures. More rare, but serious, are the cases of brain damage that result from the bacterial infection spreading to the meninges. Avoiding whooping cough and preventing cases in the future is the sensible option – and having the vaccine is far less risk than having the disease. Whooping Cough; a Childhood Infection of the Past? How Does Legionnaires Disease Spread?